In this series we examine the process of selling on Cape Cod - and don't worry, we'll get to the buying soon. This installment includes getting from negotiation to closing. "Hey Agnes, I finally have a good offer? What now?" "Congratulations! You have been putting up with the inconveniences of showings and open houses and it has finally paid off (for an idea of the process up to this point, check out part 1 and part 2). Now is when we work with both parties to agree on a contract for the sale. The truth is that price is only part of what can be negotiated when selling a home. Other items that we frequently see involved in negotiations are deferred repairs (like aging roofs, windows etc...), septics, and personal property." "Wait, a buyer can ask me to repair my roof before they buy my house?" Well they can certainly ask - but the outcome is negotiable. Let me use an example: your house is on the market for $350,000 and has an aging roof. A buyer offers $350,000 if a new roof is installed. After some back and forth both parties agree to $340,000 without a new roof. In this case the cost of the roof is the negotiating point and the seller will not need to install a new roof before the sale. We can imagine that this negotiation may have started with a buyer offer of $335,000 (from a quote of $15,000 for a new roof) but the savvy seller found another quote for only $5,000. The two parties decided to split the difference. A main point to keep in mind as the seller is how your pricing strategy reflects the 'listing price'. If your home has a lot of wear and tear, an aging roof, and old windows, but it was priced accordingly, then items like the roof may not be negotiated at all. You may have seen this in homes listed in 'As Is' condition, meaning the seller isn't willing to negotiate on items related to the condition of the home. Employing a qualified real estate agent is a great way to worry less about the details of the negotiation (that's our job). 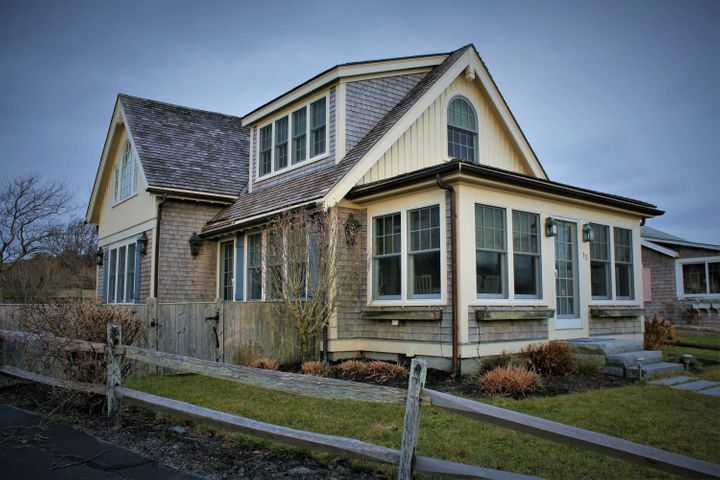 If you are interested in a home that doesn't need anything except to put your feet up and enjoy the water view, check out this property at 13 Beachwood Rd, South Yarmouth." "That sounds great, but what do you mean 'personal property'"
"Well, often homes are sold empty, but sometimes they are sold furnished or a few items (pianos, pool tables and kids play areas are good examples), can be a part of the negotiation and sale as well. Negotiations that don't involve furniture or other items of personal property are often smoother. Believe it or not negotiating several $200 items in a $350,000 sale can literally make a deal fall apart, so it helps to keep the big picture in mind. This is always a sticky situation and we recommend to our clients that the family heirloom french armoire be explicitly excluded from a sale in the listing descriptions." "OK, we finished negotiating and agreed on terms, what next?" "Well done. Negotiating to this point is a challenge, but there is still a lot that needs to happen. The most important thing to a seller is the home inspection contingency. In this case the buyer is allowed supervised access to the home where they can have a knowledgeable professional(s) look the house over from joist to rafter. Sometimes, buyers will pull out of a transaction based on this assessment, or they will attempt to negotiate repairs or a lower price. Having a real estate agent on your side can help with further negotiation or identify if a contract should be terminated." "Not yet. Buyers will often require financing (a mortgage) to buy a home which can take a long time to acquire (45 days or more). Also appraisals may need to be done, along with inspections, final bills and certificates of compliance from a variety of governmental agencies. On the seller side most of this time is spent setting up your own move while your agent works to keep everything plugging along smoothly. Finally the house will 'close' when paperwork is signed and the deed is recorded at the registry of deeds." Thank you Agnes. As usual we rely on your years of expertise and insight. Our next installment will involve getting from negotiation to closing. Feel free to contact us with questions.